Stenis, J., Moutavtchi, V., Hogl, W. (2011). Solid Waste Management Baling Scheme Economics Methodology. Iranian Journal of Energy and Environment; previously called: Iranica Journal of Energy & Environment, 2(2), -. Jan Stenis; Viatcheslav Moutavtchi; William Hogl. "Solid Waste Management Baling Scheme Economics Methodology". Iranian Journal of Energy and Environment; previously called: Iranica Journal of Energy & Environment, 2, 2, 2011, -. Stenis, J., Moutavtchi, V., Hogl, W. (2011). 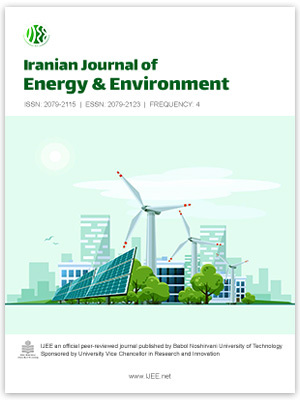 'Solid Waste Management Baling Scheme Economics Methodology', Iranian Journal of Energy and Environment; previously called: Iranica Journal of Energy & Environment, 2(2), pp. -. Stenis, J., Moutavtchi, V., Hogl, W. Solid Waste Management Baling Scheme Economics Methodology. Iranian Journal of Energy and Environment; previously called: Iranica Journal of Energy & Environment, 2011; 2(2): -.